Located in the Twin Cities Minneapolis-Saint Paul area, The Brow Studio offers the best care to achieve the perfect eyebrows and boosted lashes you always wanted with services such as brow waxing, shaping, tinting and lash lifting, tinting, and extensions. We are at the top of the beauty industry. At The Brow Studio, we are prominent eyebrow & lash stylists and licensed estheticians. We began training with industry leaders to specialize in eyebrow and eyelash maintenance for more than 10 years ago. We have studied and perfected creating the ideal arches and long thick lashes you dream of. Our mission is to highlight the beauty in each of us. The Brow Studio opened in 2010 to offer the Twin Cities rare-to-find services from highly trained professionals in an energetic but relaxed setting. We can achieve a subtle change or a dramatic transformation. Customizing our approach to you and your unique features, the result is a chic way for women & men to tame and maintain exquisite brows & lashes. We opened our doors in 2010 and have a combined 37 years of highly focused experience and ongoing training with world-class industry leaders. We go above and beyond to sterilize our space, equipment and tools after every client. We do not take lightly the opportunity to serve you! Purchase a gift certificate as the perfect pamper gift for someone you care about! Our team is made up of the best brow and lash stylists around. Training with top institutes, each of our licensed estheticians will help you achieve the perfect look! Brook studied esthiology at Aveda Institute, Minneapolis in 2004. She has continued her education with world class industry leaders continuously in programs such as Lavish Lash Master Training in 2005, Damone Roberts' Master Class in 2011, Nadia Afanaseva Volume Lash Master Class in 2014, Kelley Baker Brows Master Class in 2014, Kelley Baker Private Master Training in 2014, Sleekbrows Master Training in 2015, and Elleebana Master Lashlift Training in 2015. Demonstrated by her extensive and ongoing training, and her comprehensive knowledge and skills, Brook has evolved her abilities to be capable of achieving any desired effect at the highest standard. She specializes in eyebrow transformations that will improve the symmetry of the face, creating a satisfying and suitable look. As the owner of The Brow Studio, Brook prides herself in being knowledgeable and innovative in the brow and lash industries, traveling frequently to provide the most sought after beauty trends in the world. Tiffany studied esthiology at Scot Lewis School for Esthetics. From there, she spent the next six years working at a high end spa learning the art and science of sculpting the perfect brow, based on the principles and practices of renowned brow artist Damone Roberts. She refined her craft. She made a name for herself within the beauty industry, and is happy to now call The Brow Studio home. Tiffany enjoys helping her clients achieve their desired looks. She loves making clients feel good about themselves and loves being able to boost their confidence. Tiffany's favorite "area" of work would have to be eyebrows because she knows that the beauty is in the "eye" of the beholder. The eyes, tiffany says are the first thing people notice. She loves the way properly shaped eyebrows enhance and accentuate the already beautiful features on her client's faces. 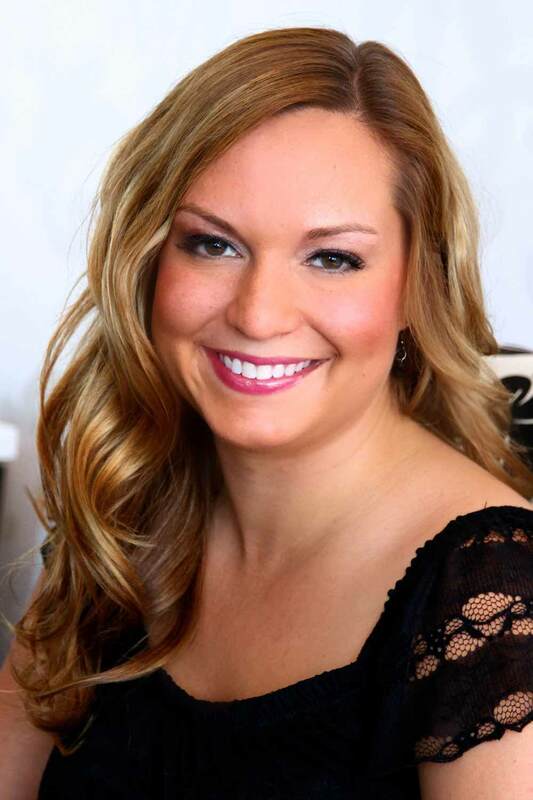 Tiffany enjoys working at The Brow Studio because she is a perfectionist who loves helping her clients. She loves the rewarding, fun, relaxing, and client-focused environment. She is proud to be the co-founder of The Brow Studio and looks forward to many more years of shaping brows and helping her clients achieve their desired looks. Jacy studied esthiology at Aveda Institute, Minneapolis. She has continued her education and training in world renowned training programs such as Damone Roberts' Master's Class, and Kelley Baker Brows master class. Jacy is passionate about her work and finds the reward in the results client's find from the change she can make in their appearance. She focuses on the individual's needs and how they would best benefit from her services, specializing in fulfilling the unique needs each client has. Jacy knows what an amazing impact beautifully designed brows can have on a face and on confidence, and aims to make every client realize the full potential of their brows. Jacy was proud to make The Brow Studio her home studio immediately after graduation, where she has been able to evolve her art under some of the best talent in the state. The feminine and intimate space has been an ideal place for her to connect with her clients and co-workers. Carson studied esthiology at The Artistic Academy in 2015 and immediately went to work as a lash extension specialist. She was the recipient of The Artistic Academy’s High Achiever Award, and has continued her education through speciality certification courses including Xtreme Eyelash Extensions, My Brand Lashes Russian Volume Lashes, Kelley Baker Master Brow class, Brows by D Brow waxing and tinting, Yumi Lash Keratin Lash Lift, and Elleebana Lash lift. She recently attended the Hollywood Lash Conference where she met with World Renowned Lash industry Leaders. Her speciality services include volume lashes and classic lashes. What’s more, Carson has been trusted to perform lash extension services on high-end clients, including Nicole “Snooki” Polizzi. Carson is super passionate about her work and loves to make her clients feel beautiful. She knows the impact that gorgeous lashes can have, and aims for clients to walk away feeling radiant and looking their best. Carson tells us that The Brow Studio felt like home from the moment she walked in the doors. She loves the detailed work and dedication that we give to our clients every day. And we are thrilled to have such a knowledgeable and talented woman on board! Shellie a Minnesota native ventured out to Utah and began her Esthetic career. Shellie received her Master Esthetic license in April 2016 at Renaissance Academy in Provo, Utah. Her specialty services include volume and classic lashes, brow shaping, tinting, lash lifting, and microblading. She is currently undergoing her 200 hour Minnesota Microblading apprenticeship, and will be offering her services soon.. She has continued her education and training in world renowned training programs such as Kelley Baker Brows master class. Shellie loves to put her talent to work and making people feel beautiful in the skin they're in.